Well @lordvaldek671 your saying about the LEGO Ninjago movie didn't do as well is kinda wrong, the real reason that movie didn't do as well in the Box Office is because of the repeating father/son theme of the 2 previously Lego movies, and the Kingsman sequel also coming out on the same day too. It has nothing to do with her makeover. The pacing, writing, animation, and coreography all looked and felt klunky to me. I really want to like that movie, but I can’t justify it. Not to mention the repeat of the less than funny jokes over and over and over again. They wasted the screentime with those. I don't remember her saying a lot in the movie except for "wow what a piece of junk"
also I meant the look not the personality I like her makeover because she is so much cooler looking I didn't care for the old 1's face print plus her gray suit color beats the old blue/red colors. He couldn't do half of what Emmet did. I don't care Emmet is a LAME hero alongside Batman. he's just a city guy nothing unique at least larry has a cool post apocalyptic suit in the 2nd. Well, I meant the first 15 minutes of the movie where they kept repeating the same scenes also with different lines, yet it was obvious that that they just copyed it. Like the personality doesn't matter. But speaking of design choice, her design was one of the luckiest cuz it was well colored and definitiely gave an impression of a character with an important role. Too bad it didn't turn out to be the case in the movie. But I agree, her Movie outfit design colorscheme which was carried over to the TV show, is much better. Was that why there was a Star Wars cameo in the first movie? Because cetain movies, also relies on that "father/son" conflict. 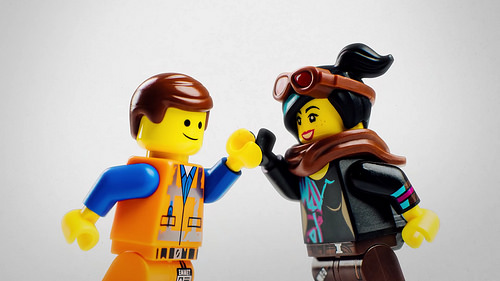 Also the Lego Movie was in production since 2010 if I remember, so I'd say they used this idea around the same time. Care to explain why do you declare a DC hero with both great historical and theaterical background as "Lame"? Or you only didn't like his act in the Lego Movie? 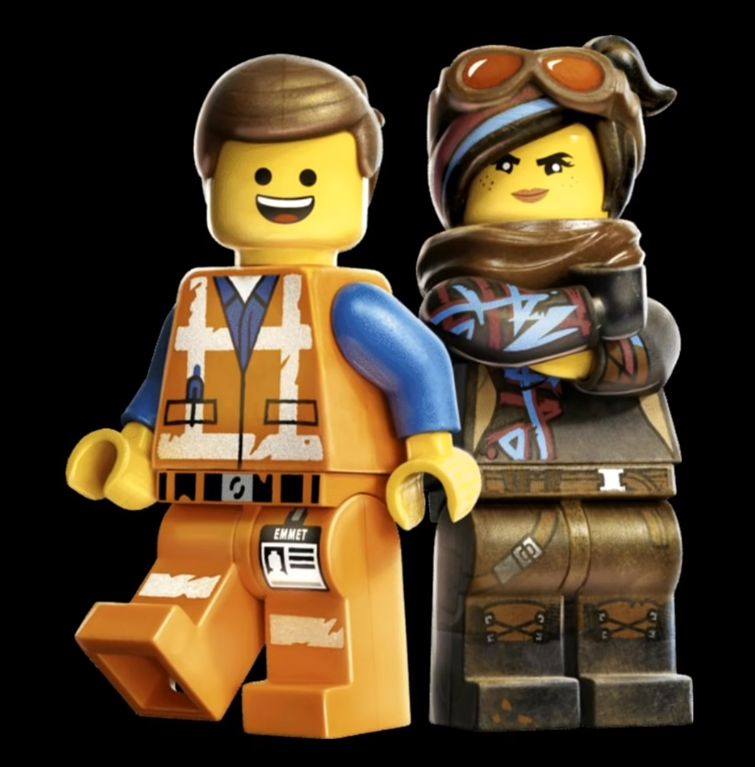 I admin, I didn't like the Lego Batman Movie but for the First Lego movie, he acted the way it should be for a side character in a Movie which is supposed to be funny and not serious. 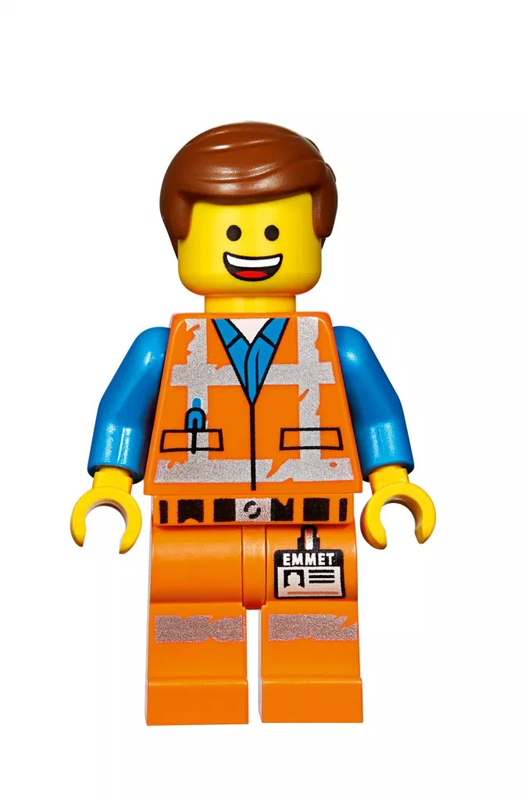 But there I would also stop you calling Emmet "Lame" with the very same reasons, I mentioned earlier. You're basically underestimate him the same way as Lord Business aka "The man upstairs" and look what he became at the end of the movie. I don't get it still why you prefer a boring coffe shop owner when he did absolutely nothing in the first movie and I am sure that he will not do much in the second movie neither. You only like his new look which is nothing unique if you look at the rest of the residents, but the design itself is not enough to judge one character over the other especially then the other one actually DID important stuffs in the First movie regardless his outfit. I honestly didn't like Wyldstyle at first but when her real side was shown, I started to like her charatcer more. She also had that overconfident act at first whcih I found annoying and Metalbeard was just simply weird. Sort of a "Soto" from Ninjago, only with a less interesting character. We all share our opinion here which is totally fine. But let's not forget about the important roles and scenes of the First movie because those made the movie sucessful. Care to explain why do you declare a DC hero with both great historical and theaterical background as "Lame"? but I'm working on a fanfic series for youtube that will cover his story with more detail and define his personality better including the true story of how he failed to defeat Lord Business there will be plenty of non-canon additions including how Bricksburg became the center of power in the multiverse, the biggest battle in it's history, the destruction of a realm called Classica (supposedly Emmet's home world) how Garmadon and Koko were really split ( great devourer snake + Hela), Lloyd's evil sister, and Metalbeard's wife's death which coupled with trying to drown his misery made him the screwball we know him as today. He was meant to represent that role for the purpose to show how Emmet cared more about Lucy than him. But at least he didn't got captured that soon like the other heroes. This has nothing to do with his abilities as it was about Lego, a Funny, not serious movie. But even on the DC universe, his skills are equal of those abilities, you mentioned. He doesn't even need those super powers, he is Batman! I still prefer DC over Marvel. 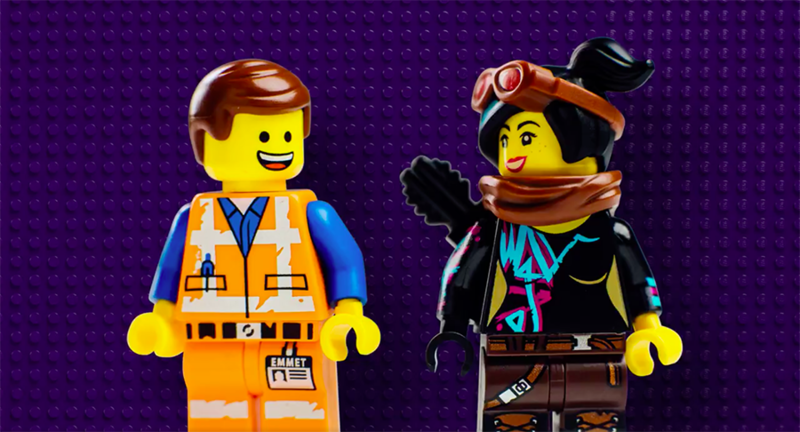 He was funny in the second movie but he lost most of the character traits he had in the original lego Movie. Well your fanfic sounds interesting none the less. Not sure why they decided to make the outer frame yellow to show the curve/outline while all the other variant is either mono or shaded to match the clothing, but for this they decided to match the skin color. This isn't the first time Lego did this, yet I just don't like the choice. Abit underwhelm of the figure of selection by having both Lucy + Emmet in these 3 sets and likely more in the future. How come they got revealed this soon and why do they look this Awesome??! 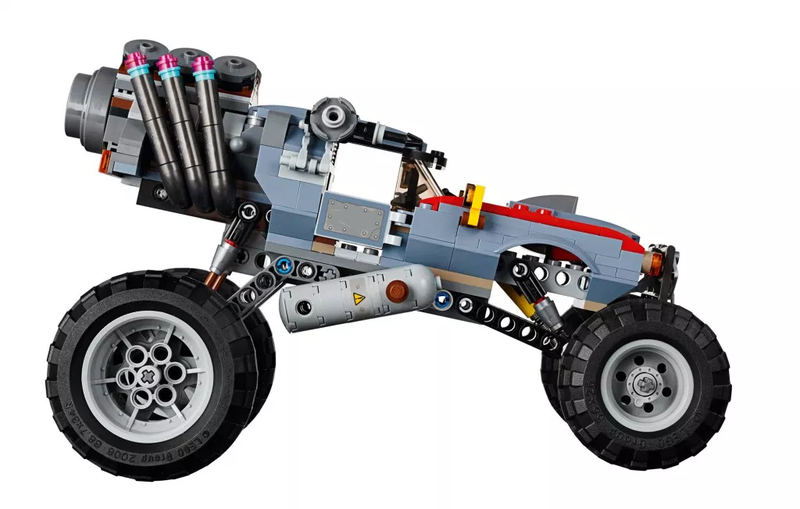 Drive away from danger in THE LEGO® MOVIE 2 70829 Emmet and Lucy’s Escape Buggy, featuring seats for two minifigures, opening doors and hood, foldout arrow gun (non-shooting) and suspension. 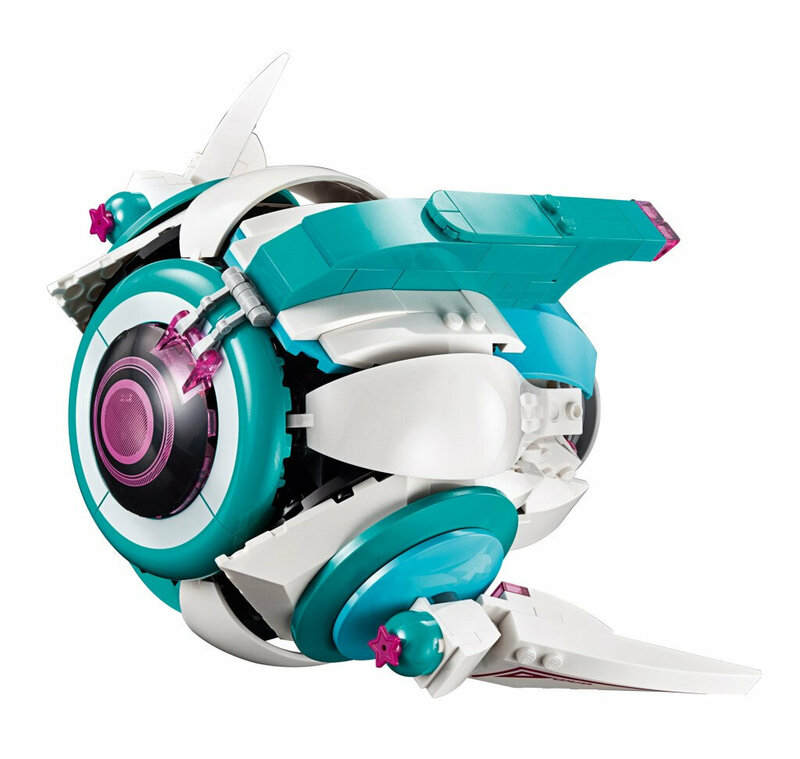 This fun-packed construction toy also includes a buildable base with an explode function, 3 minifigures and 3 buildable figures—MetalBeard, Star and Heart—with cool weapons and accessory elements. 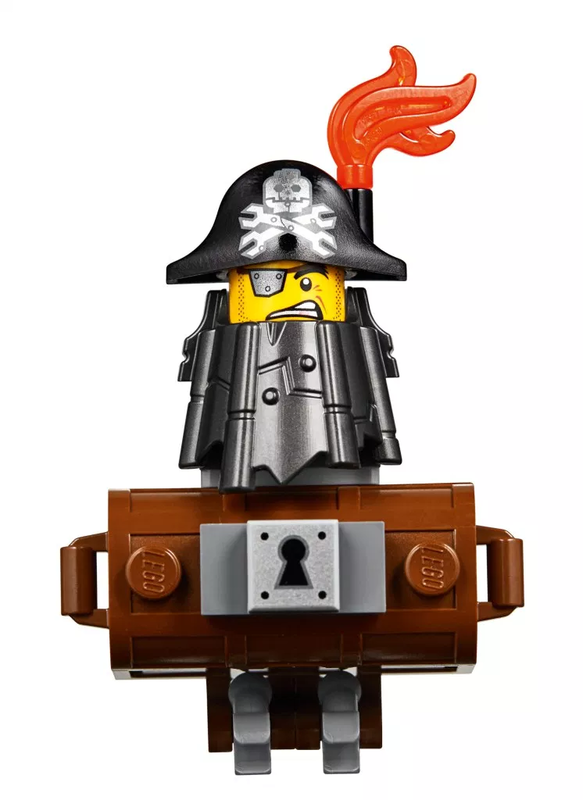 Includes 3 LEGO MOVIE characters: a LEGO Emmet minfigure, Lucy minfigure and Sharkia minifigure, plus 3 brick-built figures: MetalBeard, Star and Heart. 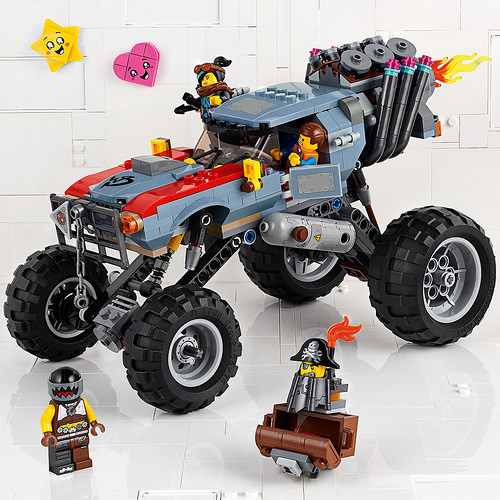 Escape Buggy features 2 minifigure seats, a removable roof, opening doors and hood, arrow gun (non-shooting), suspension and big wheels with rubber tires. Buildable base features an explode function, container with fuel tanks and a gas canister with translucent flame element. 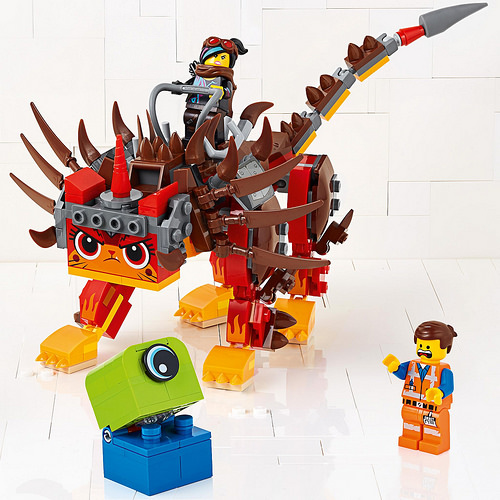 Ride into battle against the alien with THE LEGO® MOVIE 2 70827 Ultrakatty & Warrior Lucy! and rescue Emmet. 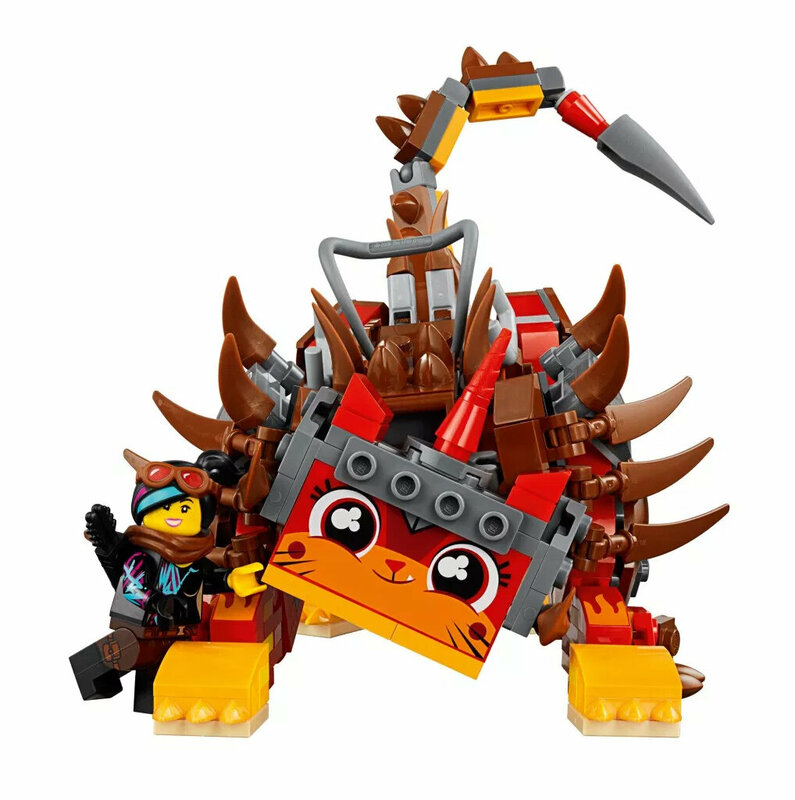 Ultrakatty features a minifigure cockpit, a posable head which can be rebuilt for 3 alternative facial expressions, and a posable tail and legs. 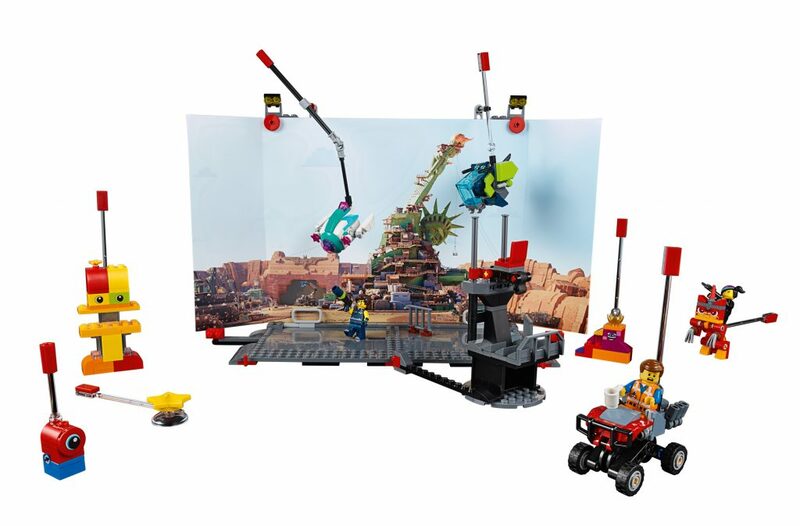 This awesome building toy includes Lucy and Emmet minifigures, plus a brick-built alien invader with a chomping mouth and rotating eye, to recreate action-packed scenes from THE LEGO MOVIE 2. 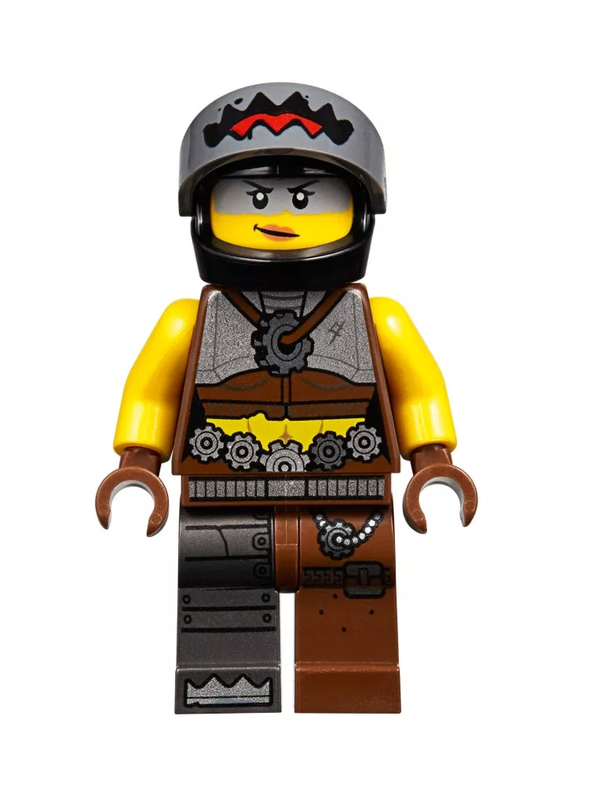 Ultrakatty features a minifigure cockpit with reins, posable head with 3 alternative facial expressions, and a posable tail and legs. Accessory elements include Lucy’s quiver and ‘STOP’ sign shield element. 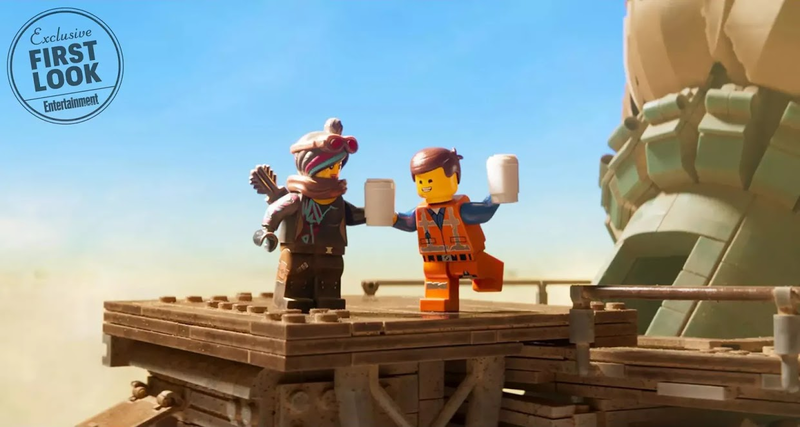 Recreate fun-packed scenes from THE LEGO® MOVIE 2. Ultrakitty measures over 3” (8cm) high, 8” (21cm) long and 3” (8cm) wide. 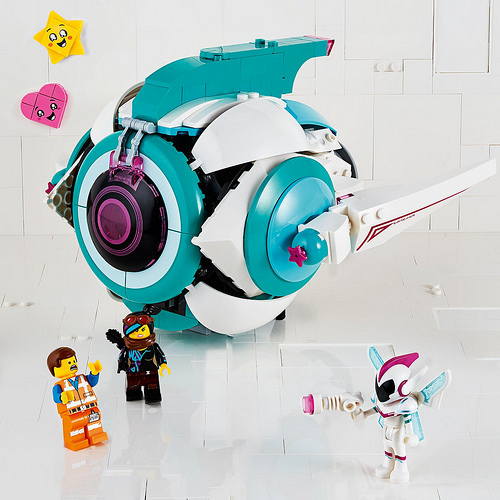 Help Emmet and Lucy evade capture by THE LEGO® MOVIE 2 70830 Sweet Mayhem’s Systar Starship toy, featuring an opening cockpit for a mini-doll or minifigure, retractable landing gear, disc shooter and an opening prison cell. 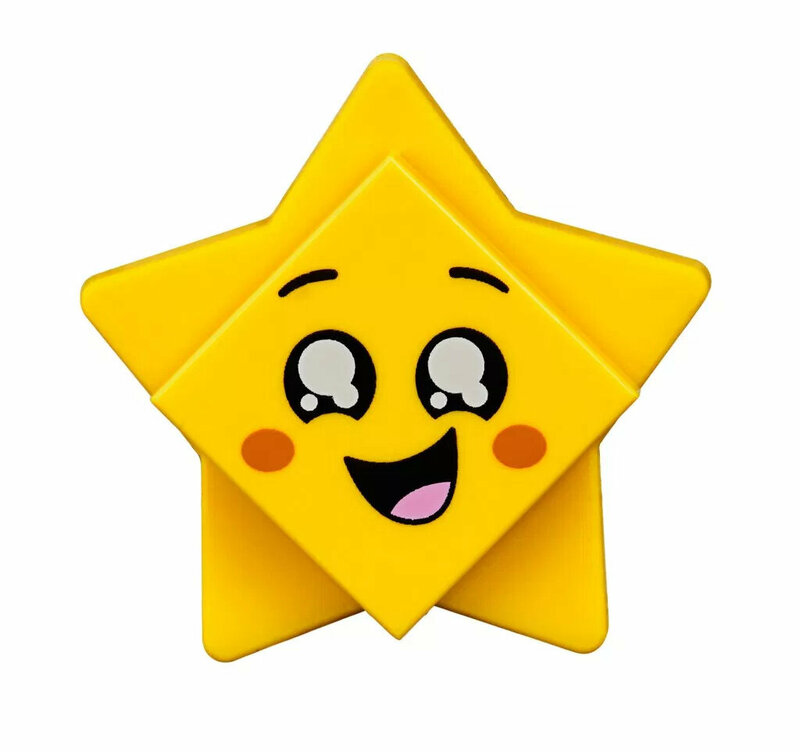 This fun construction toy includes 2 minifigures a mini doll figure and buildable Star and Heart toy figures to role-play action from THE LEGO MOVIE 2. 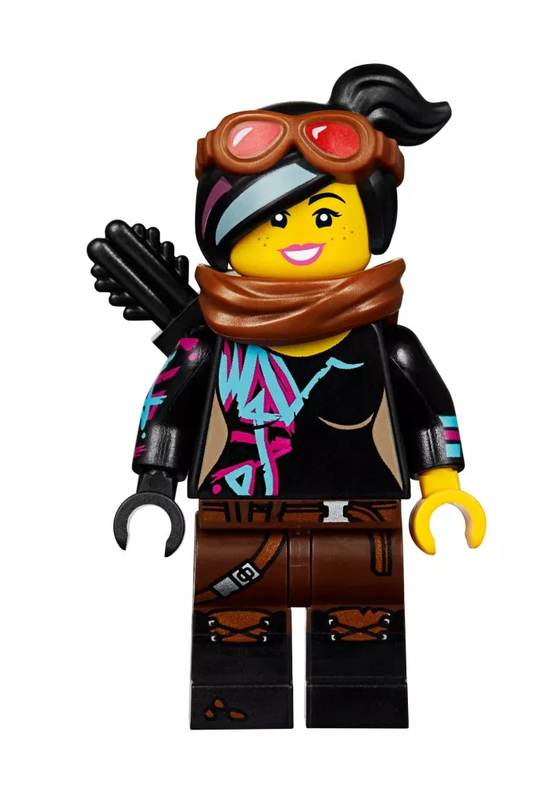 Includes 5 LEGO MOVIE characters: a LEGO Emmet minifigure and Lucy minifigure, plus a Sweet Mayhem mini-doll figure and brick-built Heart and Star toy figures. Sweet Mayhem’s Systar Starship toy features an opening cockpit for a mini-doll or minifigure, retractable landing gear, a roll of stickers, disc shooter and an opening prison cell with a removable control panel and a gun. Weapons include Lucy’s crossbow and Sweet Mayhem’s gun. 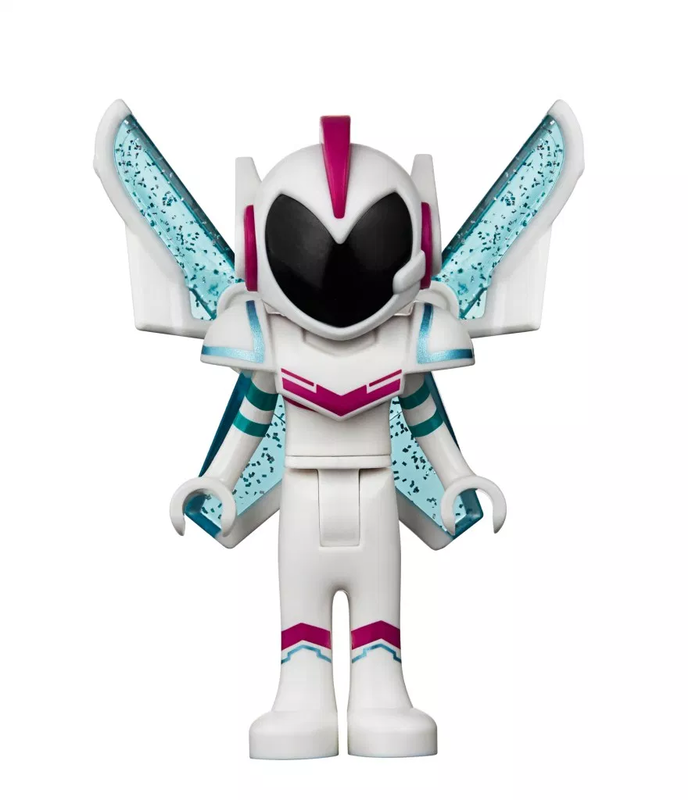 Accessory elements include Lucy’s quiver and Sweet Mayhem’s adjustable wings, helmet, 2 hearts and translucent-blue boosters. 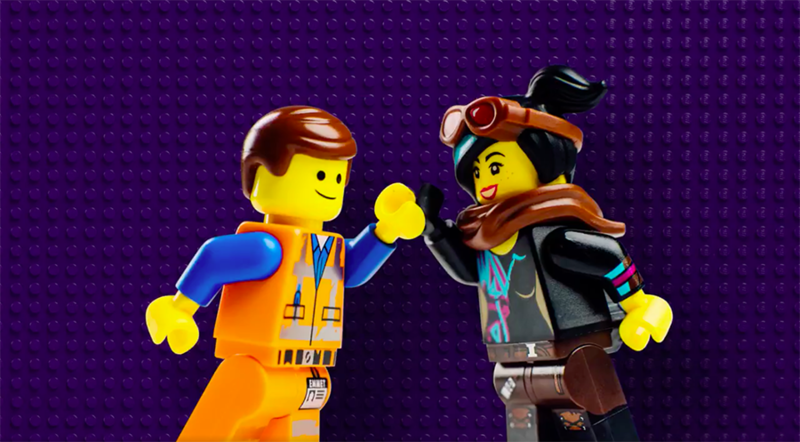 Emmet and Lucy minifigures and Sweet Mayhem mini-doll figure are new for January 2019. 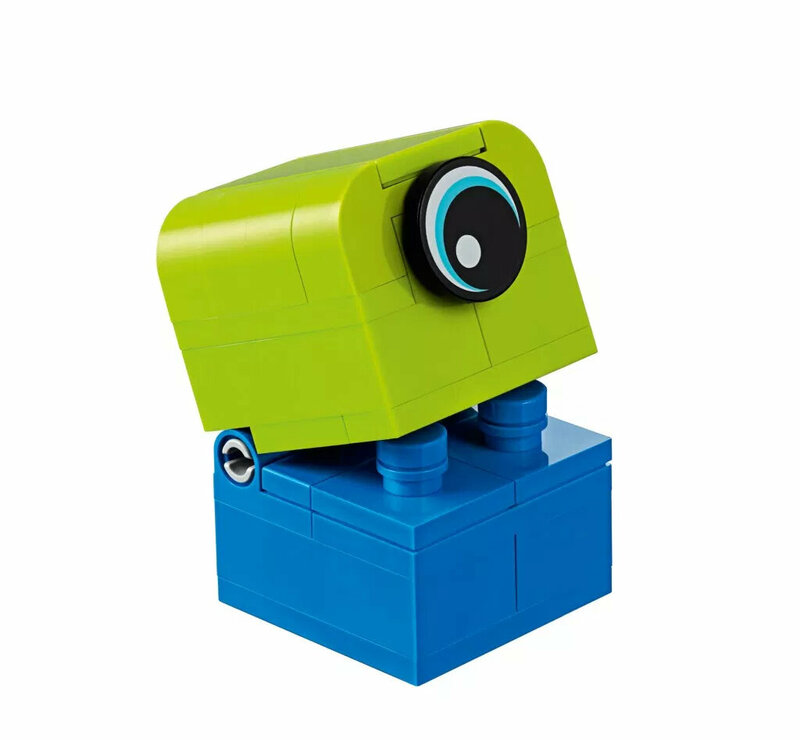 Recreate fun-packed scenes from THE LEGO® MOVIE 2 with this awesome building toy. Measures over 5” (14cm) high, 6” (16cm) long and 11” (28cm) wide. I'm actually really looking forward to these sets. They're really good. The Minifigs and vehicles look great. The little duplo monster looks pretty good. 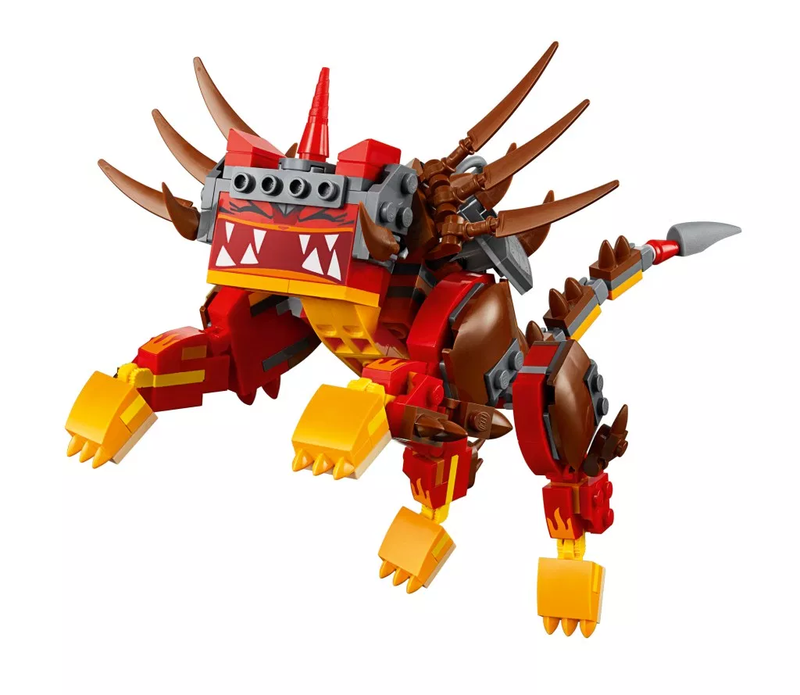 And I love the Unikity lion beast form. I'm definitely going to get that set. The only thing I don't like is Metalbeard. I loved him in the first film, but I'm afraid he'll be downplayed here, and stuck as some sort of comedic side kick that's just a head on a chest. 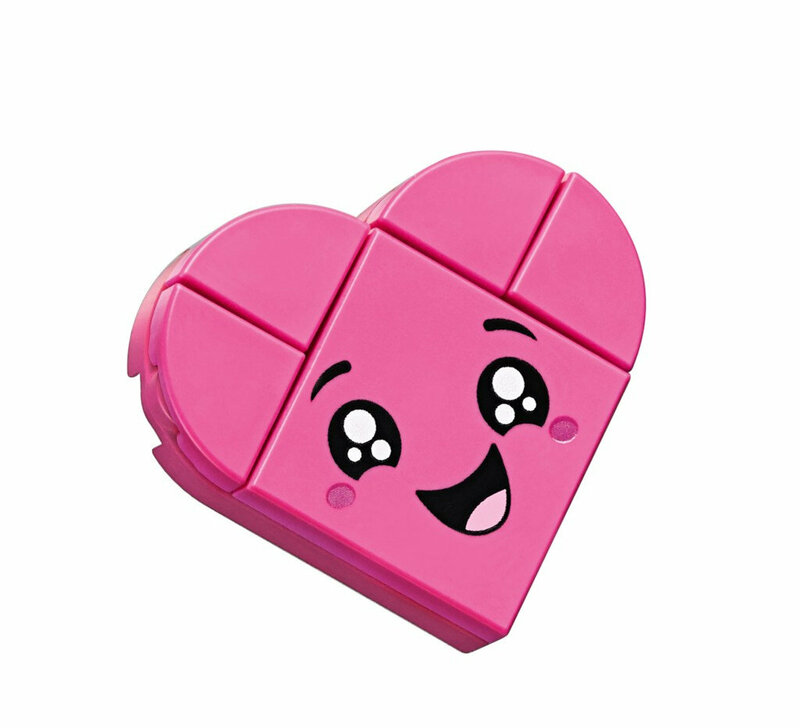 Lego uses normal bricks to make duplo bricks, despite owning Duplo. 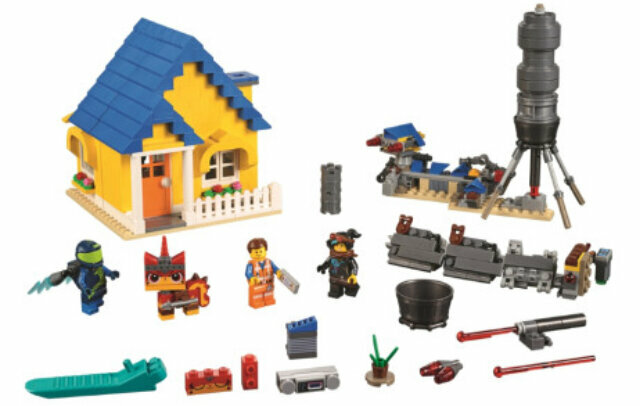 That said these sets look awesome, especially the Unikitty set. Surprised the villian of this movie is just a pile of bricks. Ooh, yellow CCBS hands in that second set. Here's a fat load of all the other set that one of the cast member linked.